Established in 1996, SELMEC has grown into a mature Electrical, Mechanical and Maintenance contractor with a solid base of repeat clients in Commercial, Industrial and Domestic sectors. Priding ourselves on our client focus, we provide the highest standards of workmanship and management in all areas of our work. We understand that each Client's needs are different and as such provide a high quality personalised service ensuring that the individual requirements of any project are met to the upmost standard. Not only are we able to draw upon our own fully qualified engineers, but we are also able to co-ordinate a range of vetted and trusted sub-contractors guaranteeing peace of mind with one point of contact. Our geographical area of operations covers mainly the East Midlands but we are able to offer installations throughout the country. 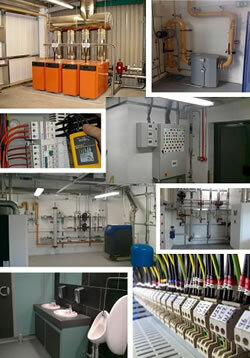 We are proud of our team of committed and highly motivated installation and service engineers. All of our engineers are qualified and competent in their fields of operation; all staff carry CSCS cards are enhanced CRB and LPA (Lincolnshire Police Authority) checked and undergo a continual health and safety training and personal development programme.